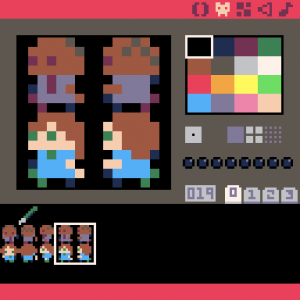 Before going into the jam, I knew that I was going to use Pico-8 to create my game. 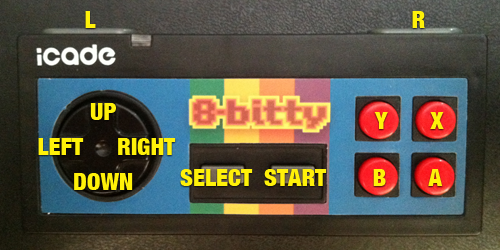 It allows for quick game creation by handling all the code, art and sound within a very small and tight package. The limits of the fantasy console helped keep the scope of the project small and within reason for a short weekend. The idea of Write Fight was to be a fighting game, but instead of punches and special moves, a controllable line would be drawn to deal the damage. I pictured it as a side scrolling platform, akin to Smash Bros, but once I started to build the characters and draw mechanic, it became clear that side-scrolling wasn’t suited well to this method of attack. Instead I chose to go with an overhead view, like Zelda: Four Swords or Bomberman, and I think it was the better choice. It makes more sense to be standing still than allow falling while drawing. First characters and pen sprite in Pico-8 Editor. The game was made rather quickly, on Friday night/Saturday morning I created the code for drawing lines. On Saturday afternoon, I was in a tournament for Magic: The Gathering, so I spent time in between rounds drawing characters and the tilemap walls. The rest of the weekend, I had to juggle my time between caring for my 1 1/2 year old son and not completely ignoring my wife. The game came together late Sunday when the power-ups were added and a game end was included. 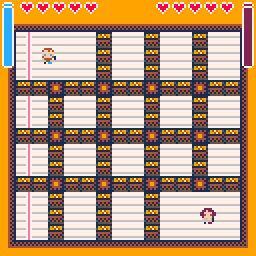 The lined paper floor was created just a few hours before the turn in time of the jam, as all the previous floor patterns I tried were too busy, too dark or duplicated colors I wanted to use for characters (Pico-8 has a palette of 16). While making the game, I really didn’t have a chance to play with another person until Sunday night, so most of the design decisions were theoretical. 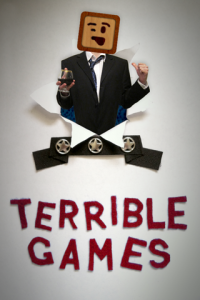 My wife played many matches with me (after I submitted), and the game turned out very fun. The power-ups were very important to keeping the gameplay moving, as being too greedy with collecting usually turned into game loses. Strategies emerged from our gameplay as well. The lines you draw will continue to do damage if walked into, so barrier lines crossing wanted paths or in the way of power-ups became a common tactic to trip up or slow each other down. Making sweeping lines around the opponent also forced them to stand still and wait for the lines to clear up before moving again. 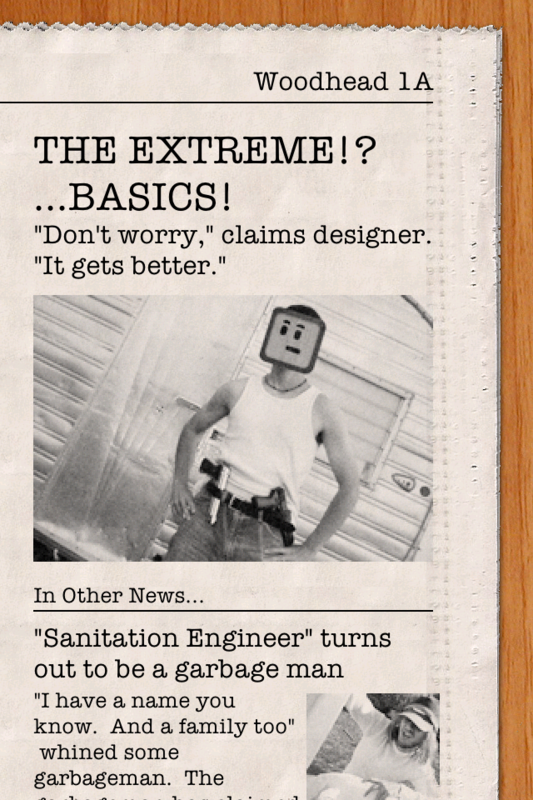 After the jam, I could not stop thinking about the game, so I continued working on it at night during the week. 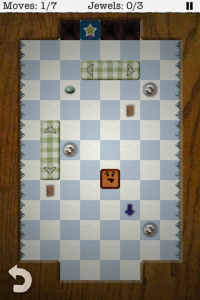 The power-ups I had planned, but didn’t get to during the jam were added (sandwich and heart). Also: a title screen, multiple characters, selectable colors, best-of-three matches (which is adjustable in code), multiple maps to randomly choose, and breakable blocks to give the drawing mechanic more utility. 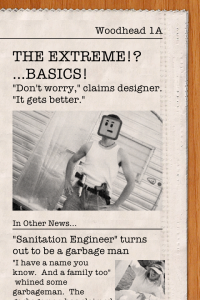 I’m quite proud of the final version, it does everything I wanted the game to do and turned out more fun than expected. To test the final version, I took my laptop and controllers to Friday Night Magic (the week after the jam) and invited players to try the game in between matches. It was well received, as the noise level of the players disturbed people still playing cards at the nearby tables. FParallaxContainer is a new class I added to the FutileAdditionalClasses repo at GitHub. The class is for adding layers to your Futile game that move at a different speed than the camera. You can use this class to create the illusion of depth with slower layers in the background, and faster layers in the foreground. The class extends FContainer, so you can add any FNode content you like to it. Fill the container with objects, most likely an FTilemap, then set the size. 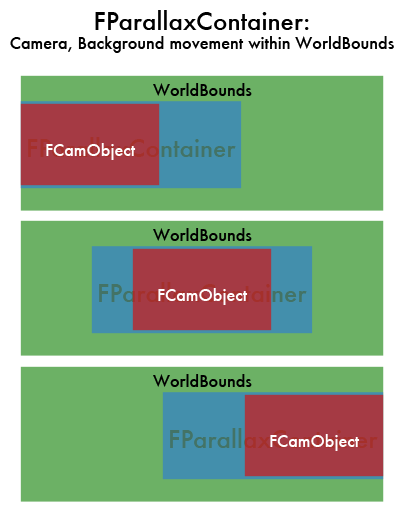 If the FParallaxContainer size is less than the screen size, it will always position itself centered with the FCamObject. When the size is larger than the screen, but less than the cam’s worldBounds, it moves slower than the camera. The example below shows this, with the camera in red, FParallaxContainer in blue, and the worldBounds in green. Notice how the left side matches up when the camera has hit the left side of the worldBounds, and the right side matches up when the camera has reached the right. You can also use FParallaxContainer to create a foreground layer, moving faster than the camera if the size is set larger than the camera’s worldBounds. You can also limit the movement to just one axis by making the x (width) or y (height) smaller than or equal to the screen size. Objects within the FParallaxContainer can be placed outside of the size you set. At this year’s PegJam, I decided it was the perfect time to put together my idea for the Experimental Gameplay Project Sifteo Cubes Competition. I’m partial to dungeon crawlers, so my first idea was to make a random map, which you can move about by connecting cubes to see adjacent screens and then moving your character between them. I also wanted to keep it very simple, so it could be completed during the weekend. So, the game became a multiplayer “Capture the Flag” game. Unfortunately due to time, I didn’t get to the random map generation part. But overall, it turned out pretty good. Each player takes a turn where they can move 5 screens, trying to be the first to visit all three flag checkpoints. The first to do so wins. Simple enough. Players begin in a random spot in the map, each flag is also placed randomly. Each quadrant of the map has its own color floor, with a strip of white floor separating the four quadrants (it’s a 7×7 map). While playing, the other players should be paying attention to the others movement and placement to figure out where all of the flags are. When a player has used up all of their moves, a notice pops up for players to switch, and the screen focuses on the next player when all cubes have disconnected.